The Windows 10 error reporting service is designed to help ensure your PC works optimally. The central idea behind Windows Error Report (WER) is to keep Microsoft informed about user issues working with Windows. However, every Windows OS version has the service enabled on default settings. But an individual user can choose to disable if the need arises. 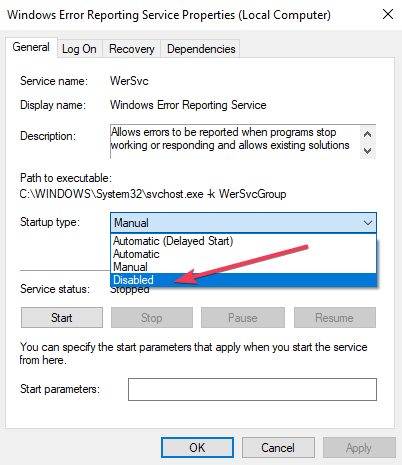 This article explores how to enable or disable the error reporting service on Windows 10. Windows 10 Error Report focuses on discovering hardware and software issues from the user’s PC and report to Microsoft. With a database of likely complaints experienced with using the Windows 10, Microsoft can then send solutions for troubleshooting. While working with the PC, some users experience pop-ups or alerts requesting the submission of the problem report. Windows error report usually occurs after a system failure, program crashes, refused to load properly or operating system errors. 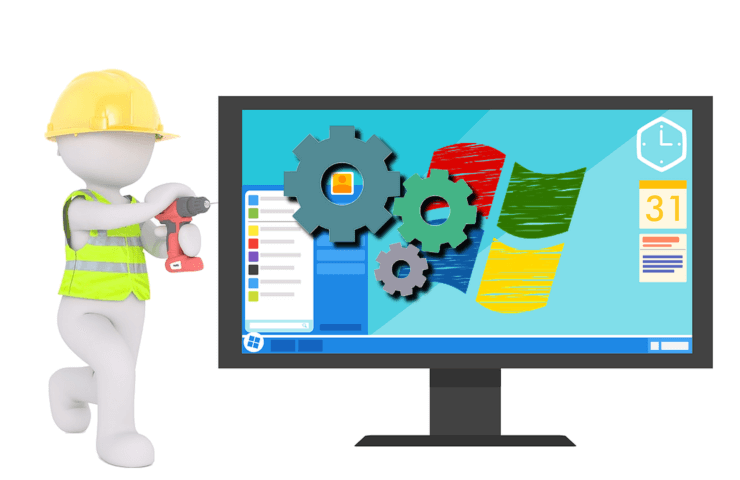 Windows usually prompt the user to submit an error report online to help proffer solutions in the future. The problem report may include program name, date, time of error and version. Should I disable Windows error reporting service? Windows users often disable error reporting due to disk space or privacy issues but might need to exercise restraint. Error reporting service for Windows 10 offers dual benefit to Microsoft and the PC users. Each error report helps Microsoft develop more advanced service packs for dealing with glitches. That means better user experience with Windows 10 based on the information gathered. Just like other versions, Windows 10 does have a slightly different graphic user interface for disabling error report. 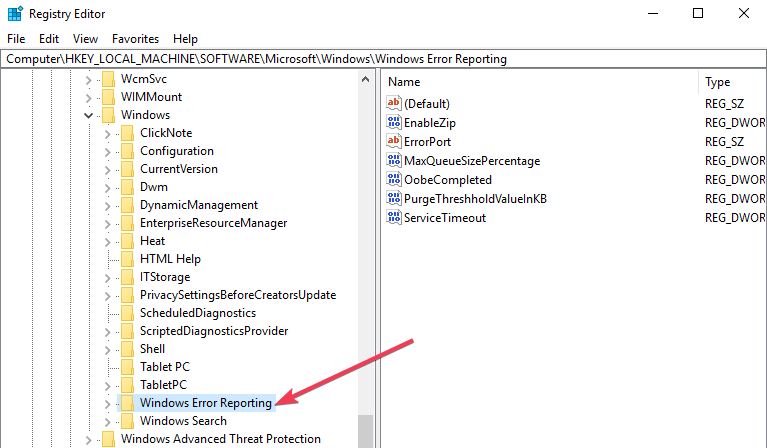 Lower versions of Windows OS have error reporting under Action Center Setting. 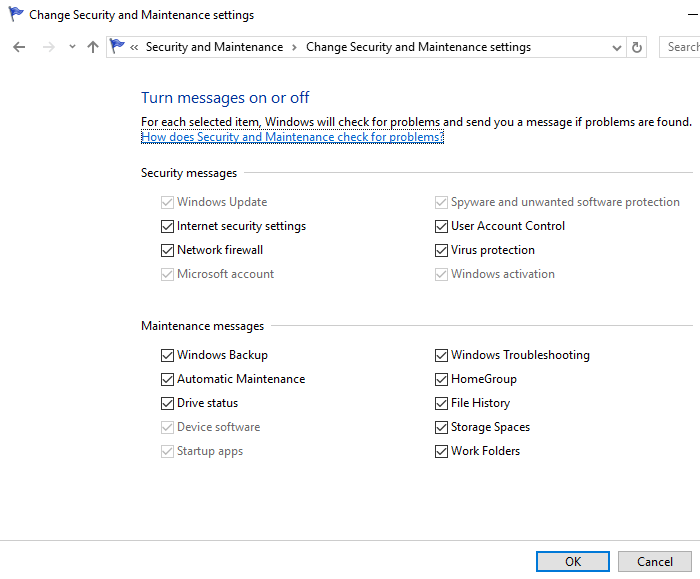 On Windows 10 it is the Security & Maintenance function requiring working with registries. Use the shortcut key. From the keyboard press down the Windows key+R. It should navigate to the Run dialog box. Into the open space of the dialog box type service.msc. Move the cursor to Windows Error Reporting Service and right-click it. Locate Startup types and scroll through the drop down menu list on the right. Click Disabled which is at the bottom of the list. Click ‘OK‘ or apply to complete the action. Close the service window to exit. Now the process has been completed. In some cases, the Startup type which is close to disabled might appear as gray. That means the user needs admin rights to continue the process. Therefore, log out and log in as an administrator. Or locate the administrative command prompt by pressing Windows key+ X to select command prompt admin. Locate Control Panel from Windows startup. Click Control Panel> System and Security> Security and Maintenance. Look out for Report problems. Report problems should by default display ‘On’. To the right of your window, locate the registry key in the dialog box. Click on the option ‘disabled’ so the dialog box can appear. Replace the value ‘0’ with ‘1’. If there is no value then create a new one with the same name, ‘Disabled’. Then set the new 32-Bit DWORD value to ‘1’. Tap ‘OK’ to effect changes. To confirm that the Windows error reporting service has been disabled, go to Security and Maintenance. Check the comment on report problem to see if it reads on or off. To re-enable error reporting service on Windows 10 simply set the disabled value back to zero. Another option would be to delete the disabled value. To create a new DWORD from the registry editor one needs to locate Edit > New on the menu. It’s quite simple to disable and enable Windows 10 error reporting service anytime. And understanding how to use the Registry Editor or finder makes everything much simpler.